From the ever-popular Camry to the incredibly efficient Prius, Toyota gives drivers plenty of cars to choose from. But, which vehicle is the best choice for you? Each of the available Toyota cars for sale has its own strengths and appeals to a unique audience, and there’s sure to be a perfect match for you! 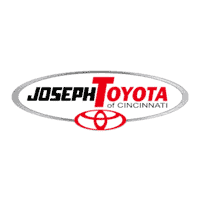 At Joseph Toyota, we are here to help during the search for your next vehicle, so we make it our goal to provide our customers with every resource and convenience possible during that time. To help you determine which Toyota car is right for you, we’ve put together a brief overview of each model, their specs, and covered additional hybrid and hatchback options. However, if you find that you still need help determining which vehicle is right for you after reviewing this resource, feel free to give us a call, check out our helpful website, or visit our lot! For now, here is some more information on our Toyota cars for sale including the new Camry, Corolla, Prius, and Avalon. The 2019 Toyota Camry is an efficient, powerful, and easy-to-maneuver midsize sedan. 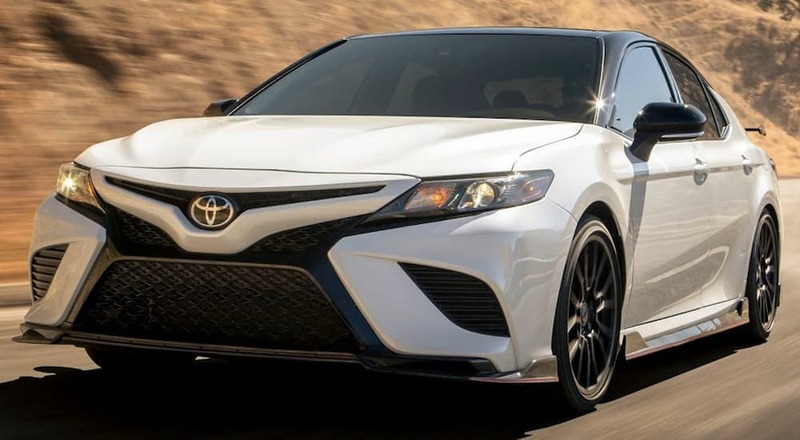 Previously, the Toyota Camry has been one of the top-selling sedans of all-time, and the 2019 model is set to be no exception. Drivers investing in this Toyota car can choose from two engine options, including a 2.5L 4-cylinder engine and a 3.5L V6 engine. The 2.5L 4-cylinder is offered as the standard engine and is the more efficient option, earning up to 29 mpg in the city and 41 mpg on the highway. However, the 3.6L V6 is the more powerful option and produces up to 301 hp and 267 lb-ft torque. Drivers and critics note that no matter what engine the Camry is equipped with, it is incredibly responsive and fun to drive. Of course, drivers looking for the quickest acceleration will want to opt for the 3.6L V6 engine. The 2019 Toyota Corolla is a compact sedan, perfect for drivers on a budget. It is incredibly affordable with a starting MSRP of $18,700, which is an even better deal considering its excellent fuel economy ratings of 30 mpg in the city and 40 mpg on the highway. However, the 2019 Toyota Corolla is not nearly as powerful as the Camry, and is therefore more suitable to drivers looking for a practical and efficient vehicle for their daily commute. Like other vehicles on this list, the Corolla is also home to Toyota’s intuitive and user-friendly infotainment system, as well as a full suite of advanced safety features offered standard on the base trim. Overall, the 2019 Toyota Corolla is the perfect vehicle for those looking for lower monthly payments, less trips to the fuel pump, and an all-around practical vehicle. The 2019 Toyota Prius is all about efficiency. Even as the most well-known hybrid vehicle of all-time, the Prius continues to surprise drivers with its high fuel economy ratings. On its newest model, the Prius earns up to 58 mpg in the city and 53 mpg on the highway. With these ratings, you’ll find yourself pumping gas less and less. And with the amount of money you’ll save, the low starting MSRP of $23,470 of the Prius will have you even more excited. However, it should be noted that the Prius is not the ideal car for drivers looking for a blend of power and efficiency, like the Camry. It is more so geared towards drivers looking for efficiency above all other qualities. Drivers investing in the Prius will also discover that it is incredibly safe, offers advanced onboard technology, and features a modern exterior and interior design. The Prius also comes in various models, making it easy for drivers to customize it to their exact needs. 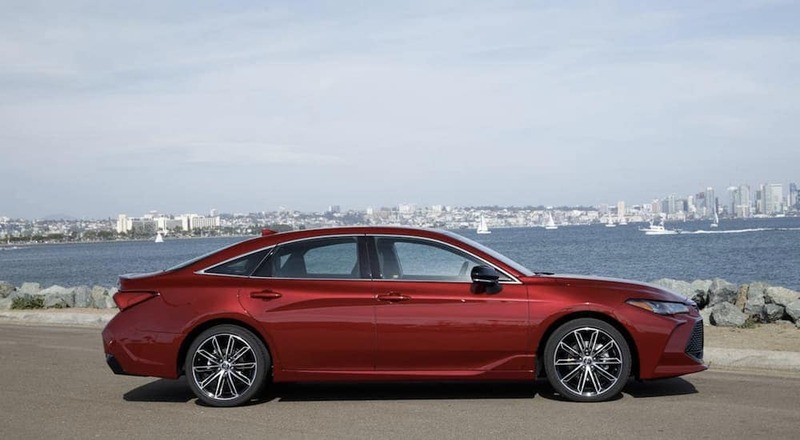 The 2019 Toyota Avalon is a large sedan full of luxury touches and convenience features. It is the least efficient vehicle on this list, but offers just as much power as the 2019 Toyota Camry. This spacious sedan is praised by drivers and critics for its comfortable, upscale, and modern cabin, and offers plenty of cargo space. The Avalon is also completely redesigned for the 2019 model year, and is now more sleek and luxurious than ever. Overall, the Toyota Avalon stands out as a truly unique vehicle among other Toyota cars for sale as it is more suited towards consumers seeking luxury than it is those looking for a practical vehicle. However, the Avalon is just as safe as other sedans on this list and features Toyota’s unmatched suite of driver assist technologies as standard. As proven by the Prius, Toyota understands what it takes to make a successful and high-quality hybrid vehicle. So, it’s not too surprising that when checking out Toyota cars for sale, you’ll find that several models are available as a hybrid vehicle. For example, both the Camry and Avalon are available as a hybrid, and Toyota even offers several of their SUVs with a hybrid engine as well. If you’re a driver looking for a hybrid vehicle, but aren’t interested in the Prius, you’ll still have plenty of options among the brand that does hybrid best. Several of the sedans listed above are also available with a hatchback body. This makes traveling with belongs even easier and can serve as the perfect option for drivers who are undecided between a small SUV or sedan. Drivers interested in purchasing a hatchback vehicle will want to check out the 2019 Toyota Corolla Hatchback, which costs only $1,290 more than the Corolla sedan. Find The Perfect Toyota Car for Sale at Joseph Toyota! Now that you’ve learned a bit about all of the Toyota cars for sale at your local dealership, it’s time to decide which vehicle best suits your needs, lifestyle, and budget. However, this can seem trickier than it sounds. While trying to reach this decision it is important to consider which features you are prioritizing the most in your new vehicle. Are you looking for the ultimate in efficiency? Or, maybe the ultimate in power? You might even be looking for the most luxurious model possible, or the most affordable. No matter what you’re looking for, it’s important to carefully consider your needs and write down any final thoughts. However, if you can’t decide which one of these Toyota cars best suits your needs, don’t worry! The Toyota experts at Joseph Toyota will be here to help. We will carefully listen to your questions, concerns, and needs, and point you towards the right models. Customers who choose to purchase from Joseph Toyota can feel confident in the quality and fair pricing of every vehicle available on our lot. So, when you’re ready to pick out the perfect Toyota car, visit Joseph Toyota!